You’ve heard it before, over and over again. Stay hydrated! Sometimes the doctor will tell you that you are dehydrated. What exactly does that mean and what does dehydration do to your body (and your looks) to be dehydrated? It’s scary, but please read on, because I have a great solution for you – Best drinks hydration! 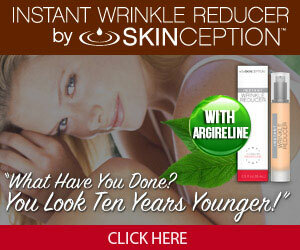 Amazing results that will literally save your life and make you look younger and more vibrant!. We all know what dehydration is, basically, right? Not enough water in the body. However, did you know that you should never allow yourself to get to the point where you feel thirsty? Once you actually feel thirsty, you have become dehydrated, and you want to avoid that at all costs. When your brain starts telling you to drink, that’s when you know your little precious cells are crying for moisture and help. Don’t do that to yourself! It is completely unnecessary to put your body in that kind of distress. Think about what happens when you become dehydrated. Your body doesn’t have the water (you need water!!!!) to function properly. That’s a scary thing and should be taken seriously. Your blood gets all thick and mucky, and now your poor heart is trying to pump this muck through your body. This is just not healthy. What would you rather swim in; a beautiful, clear, free-flowing river or a river thick with muck? Well, refresh your body’s river and drink your water! Remember, your blood is like a delivery service, bringing needed oxygen to your organs (you know, those vital parts of your body you can’t live without). Don’t slow down that delivery service. Your organs need that oxygen delivered on time! Symptoms of dehydration include not only feeling thirsty, which is never pleasant, but you can get a headache (do you have chronic headaches? Try drinking more water and see what happens! ), you can feel extremely tired and sluggish, and you may not be able to focus properly. What does dehydration do to your looks? Now I want you to think about your house plant. What happens when you don’t give your plant enough water? Why do you think you are any different? Do you want to have plump, smooth, hydrated skin or dry, cracked, dried-out skin. (Nooooo!) I feel like I shouldn’t even need to write this article, but I have to stress to you all the extreme importance of drinking enough water. I just can’t say it enough! If you want to look young and vibrant, your main job is to drink enough water. Plump those cells, smooth out your skin, look and feel amazing! I’ve got some innovative ideas for you below on exactly how to do that. Look at these pictures of these roses. One is dry and dying and other is plump and vibrant in color and texture. Picture your skin the same way, and it will give you motivation to drink enough water to improve your health and your looks! What if you don’t like plain water? Don’t stress the small stuff. You aren’t alone. So many people don’t like the taste of plain water. I, personally, absolutely love water, and I drink it all day long. I do use water enhancers, mostly for the health benefits they provide, but I enjoy just a plain glass of clean, clear, filtered water just as much. What is the best water bottle to use? This is actually a no-brainer. You do not want to drink bottled water that has been housed inside of a plastic bottle in hot conditions and cold conditions, absorbing whatever that bottle is made from, for long periods of time. No, no, no. I have a much better, healthier option for you, and it will save you a lot of money as well. Bottled water isn’t cheap. Sure, you can buy cases of it and keep it at your house, but so many people just run to the corner store en route to their busy lives and spend $1.00 to $2.00 for each bottle of water they buy. Kor Water makes the most amazing product. It’s a beautiful water bottle that you can fill with any tap water, and the bottle filters the water when you drink it with an amazing coconut filter (the best type of filter you can buy). This removes all the chemicals and bad stuff and leaves pure, fresh, clean water for your body! It’s a far superior water delivery method, and the water from the Kor Hydration Vessel is absolutely delicious! FILTERED WATER BOTTLE REVIEWS – BREAKTHROUGH TECHNOLOGY! Does your water pitcher matter? BEST WATER PITCHER FILTERS DRINKING WATER! I hope you will take the advice in this article to heart. I welcome all your comments and questions. Please feel free to leave me a relevant comment below. If you would rather contact me personally, you can email me at any time at Babs@FountainofYouthLifestyle.com. Either way, I will be happy to hear from you! Enjoy, and remember, drink your water! I always need to be reminded to drink more water. I started taking a drink first thing in the morning to try to squeeze in some more cups of water. I have tried a number of infusers, some I liked more than others, but recently have gone back to just drinking fresh filtered water. Lately I’ve been looking into getting a water bottle with a filter and I’ll need to more seriously consider the Kor Water Bottle, seems to take out the bad and add in the good. I’m off to read your reviews on those. Thanks for the push in motivation. I love how you compared us to a houseplant. I never thought of hydration that way! Now every time I water or even sit next to my houseplants, I will remember to water myself! I love your explanations of dehydration and each illustration set. You kept my attention and really made me think “I need to remember to drink more water….and to get my children too as well” I think we sometimes get caught up in life and forget what our bodies really need and water is very fundamental to feeling and looking good. Great article! There are so many important sections in normal things we use. Water is something everyone uses in their day to day basis. It is proven by doctors that if a person drink atleast 2-3 litres water every day they can eliminate so many different kinds of disease or any other illness. This article has a lot more than I said. It explains how much important water can be. Thank you for sharing this article. I would like to offer you my comments on your post about hydration. First I would like to say that you have written a very interesting post. I really enjoyed it and learned many things especially I didn’t k ow that when you were thirsty, your celles were already in distress. Your topic is great as you are talking about vital information our body need to survive. I liked the images and the comparison between the two roses. Your text is quite easy to follow and you are building a trust with your reader. I didn’t know what Kor water bottles were but I found it interesting and the added nutrients are a bonus for sure. I will keep reference to your post and click on it to learn more. You did a great job, thanks for sharing! Thank you so much for this amazing post, I really find it really find it helpful and nice, dehydration is not a good state of the body and we should not allow ourselves to get dehydrated completely before taking water. Everyday without fail I take a lot of water and That really helps. Such a witty way to explain dehydration. Thank you for such reminders! Drinking water for hydration is common knowledge for everyone yet, many still struggle to follow. It is my first time to hear about Kor water bottle and what a fantastic way of presenting the product! I’ll take note of this and see whether I can get one here near my area.